Spring is in the air and with it comes the urge or necessity to clean our homes. There is little more satisfying than a thoroughly cleaned house. In this post, we’ll explore Love Local approved cleaning products that are safe for you and your family as well as recipes for making your own if the spring breeze moves you to go all out! The number one issue with conventional cleaning products is chemicals. Avoiding harmful chemicals means putting a little extra effort into researching brands that offer safer alternatives. Luckily we’ve got you covered. We’ve done the research and have listed a few brands that you can use with ease. 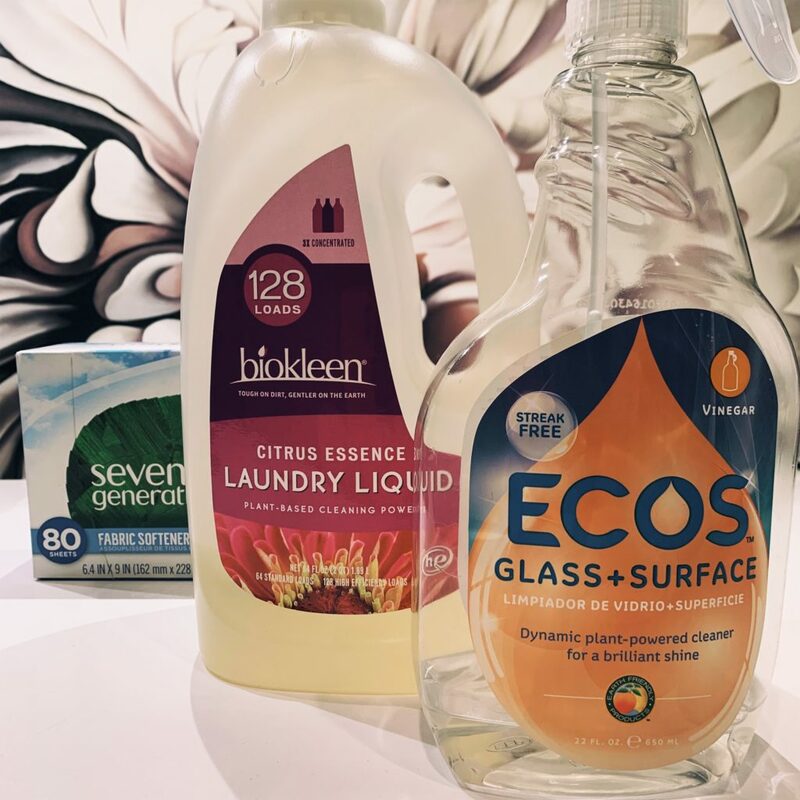 Some of the brands you’ll discover make cleaners using plant-based ingredients, some offer biodegradable containers, and none of them test on animals. We have provided links to some great bloggers who’ve shared easy recipes if you choose the DIY route. Either way, you can breathe deeply and enjoy your spring clean. Try Ecos vinegar window cleaner. Their formula performs well without dyes, ammonia, or formaldehyde. Added bonus, it’s vegan and gluten free. Buy it here. Greenshield Organic offers a USDA certified organic formula that is scented with essential oils you can use anywhere in your home. Learn more and buy it here. Planet, Inc. also offers a great fragrance free all purpose cleaner that is 100% biodegradable. Learn more and find out where to buy it here. The organic coconut oil in Seventh Generation’s Wood Cleaner will leave the wood surfaces in your home clean and shiny. See more and buy it here. Or use this recipe from the blog DIY Natural to make your own! Last but not least, the laundry. When laundering those comforter covers, mattress pads and curtains, do it with a detergent that won’t expose you to harmful chemicals over time. BioKleen’s laundry detergent fits the bill and is available in biodegradable containers. Shop BioKleen here. If you’re feeling up to it, make your own with this recipe from the blog A Few Shortcuts.